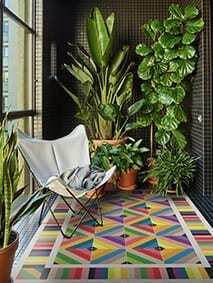 NYLON MATS RECREATING ANTIQUE TILE FLOORS. 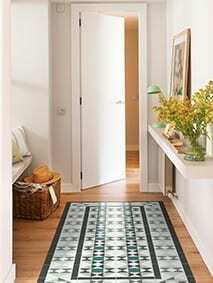 New mat collection solving the common problem of cleaning, with a touch of style. Nylon absorbs dirt and dust, while its non-slip nitrile rubber backing provides a secure grip to the ground, preventing slips. The small size of the mat offers a wide variety of applications in the house. 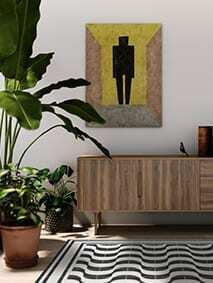 It can be placed as door mat trapping dust, while offering an original welcome. Also, this new collection is perfect for decorating and keeping the kitchen clean. 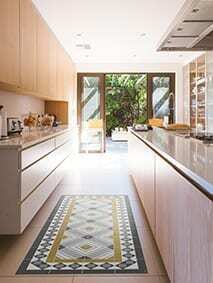 Placing the mat in front of the cooking area or the sink protects the floor, absorbing liquids and avoiding slipping. Do you want to redecorate your home and you don’t know how? Changing your house flooring is an investment that will help create a totally new environment, to separate spaces or enhance the furniture you place on top. 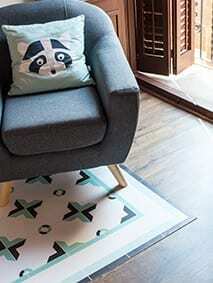 A low cost refurbish would be adding a rug to your space, saving time and money. Have a look at our proposals and choose between our vinyl or nylon mats.